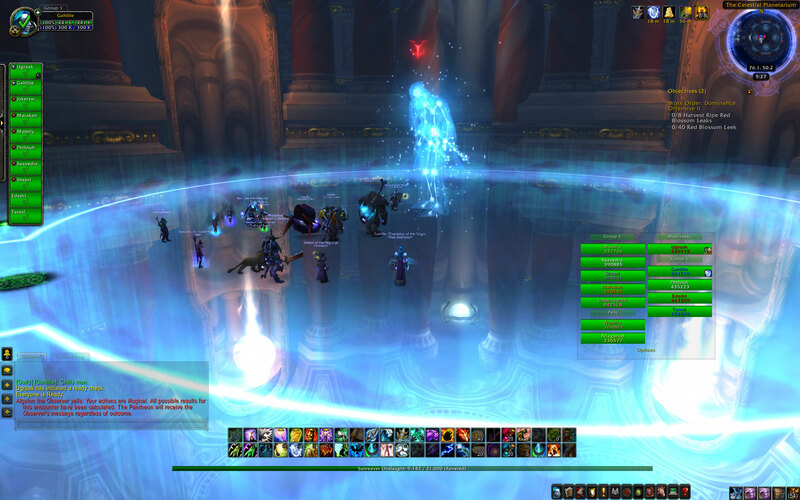 Back in "Wrath of the Lich King," I had to take off an entire raid tier because my hands hurt. I returned for ICC, the end raid for the expansion, but it hurt sometimes to play so much I cried out in person. I'd leave early. I'd sob for days. My left side hurt more than my right. Sometimes it wasn't pain, and it wasn't just my hands; I'd also lose feeling in my hands and feet. It wasn't just WoW that did it; I'd often lie down after class flat on my back with my hands and feet burning and watch TV because even holding a book hurt my hands. But I played a rogue, which was fairly famous for its strict rotation where deviations from it tanked the amount of damage you did. For reference, I still remember the keybindings assigned to that rotation despite this being a story from 10 years ago: 22222 6 22222 1 222222 3, if time 22222 3 again. 2 was sinister strike, 6 was slice and dice (a timed self buff), 1 was rupture (a damage over time move), and 3 was eviscerate (called a finishing move). But I missed the chance to participate in this event, because it hurt too much to play. I don't know if I'd have succeeded in it or not. Anyway. That's not the point of this. The point of this blog post is really about community support. Now, I am sure I frustrated my guildies with my repeated early-leaving, my complaints, getting drunk to tolerate it and the absolutely ridiculous mistakes that happened because of it (e.g., walking up to a boss thinking I was stealthed but being very much visible), and the complaints. I complained a lot, too. Finally, a searing shock of pain was so intense I quit raiding and doing dailies, too, and it was the actual catalyst to seeing a doctor the next time I was in town at home. Because it was clear that use of my hand was getting worse, not better, and early on we all suspected it might be carpal tunnel where the feet pain was unrelated. It was not. I'm now 31, not 21, and just received a diagnosis for RA. However, I also have memories of guildies doing research with me, listening while I relayed test results, coming up with theories for the best possible explanation for my illness, and even commiserating. They helped me with dailies in ways I normally didn't need it. They forgave nights of reduced damage, and the loopiness that came with testing out possible diagnoses through medication when test results turned over nothing but more questions. They also came up with the theory before doctors did first that ended up being my reigning diagnosis for over a year. Let me reiterate that: my friends in a video game were invested enough to come up with the most reasonable diagnosis, because they were listening enough.